This Sunday the SANFL West End State Team are taking on the VFL at Adelaide Oval. Check out a full breakdown of all you need to know heading into this weekend's blockbuster clash below! Entry is FREE for all Panthers Ticketed Members (excludes Grassroots Members), Adelaide Oval Football Members, Essential Crows and Essential Power Members. 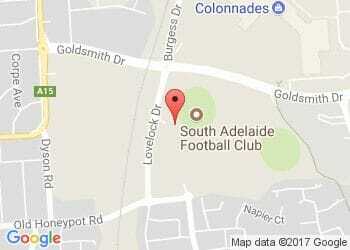 Tickets are also available at the gate at the usual SANFL match prices - Adults $14, Concession $8 and Under 18s FREE. Or you can pre-purchase tickets online by clicking here. Three Panthers stars have been selected in the final squad of 25 to take on the Vics - find out who by clicking here. Meanwhile, South Adelaide's superstar tactician, Brad Gotch is also a part of senior coach Graham Cornes' coaching panel. Before the SANFL and VFL collide on Sunday afternoon, two of our U18s (Dylan Whimpress and Nathan Kreuger) and three League young guns (Ben Heaslip, Cody Szust and Rhys Bartram) are in the mix to play in the SA U18 vs SA U20 curtain raiser - for more info click here for U18s and here for U20s. What Does it Mean to the Players? Click the video below to hear from SANFL West End State stars (including Joel Cross and Brett Eddy) about what pulling on South Australia's famous red guernsey means to them.